In a year that has already been insanely profitable for Disney, all signs are pointing towards Moana being another home run. Walt Disney Animation Studio's second release of 2016 sees the legendary duo Ron Clements and John Musker explore a whole new world as they head to the Pacific. More information has continued to emerge, much of it from the recent ComicCon panel- such as the revelation that in a departure from the traditional formula Moana will not have a love interest in the film. The studio has now released information on the voice cast, and a whole set of character posters showcasing the characters they will be portraying. A few big names aside, it is very noticeable that Disney has being seemingly going out of its ways to cast actors of the correct ethnicity. No whitewashing here. The two members of the cast we already knew were Moana herself- voiced by newcomer Auli‘i Cravalho, and Maui, voiced by the one and only Dwayne Johnson. Joining them will be Temuera Morrison and Nicole Scherzinger as Moana's parents, and New Zealand actor Rachel House as Gramma Tala. The villain of the piece is a 50-foot crab, voiced by Flight Of The Conchords' Jermaine Clement. Rounding out the cast Alan Tudyk (who is rapidly becoming to WDAS what John Ratzenberger was to Pixar) will be playing "dumb rooster" Heihei. Also featuring in the posters (but with apparently non-vocal roles), are Moana's adorable pet pig Pua, and a band of marauding miniature pirates called the Kakamora. Check out the full set of posters below! 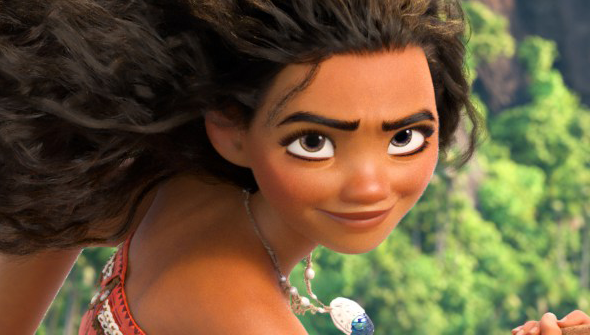 Moana will arrive in cinemas in the US November 23rd and in the UK December 2nd 2016.